A museum in Minneapolis is re-creating the traditional hut used by nomadic Somali people, in hope of teaching young Somali-Americans and others about a way of life in danger of disappearing. Somali huts are made of bendable, strong branches from trees such as Dhumay or Acacia. Men collect the wood; women assemble the hut. 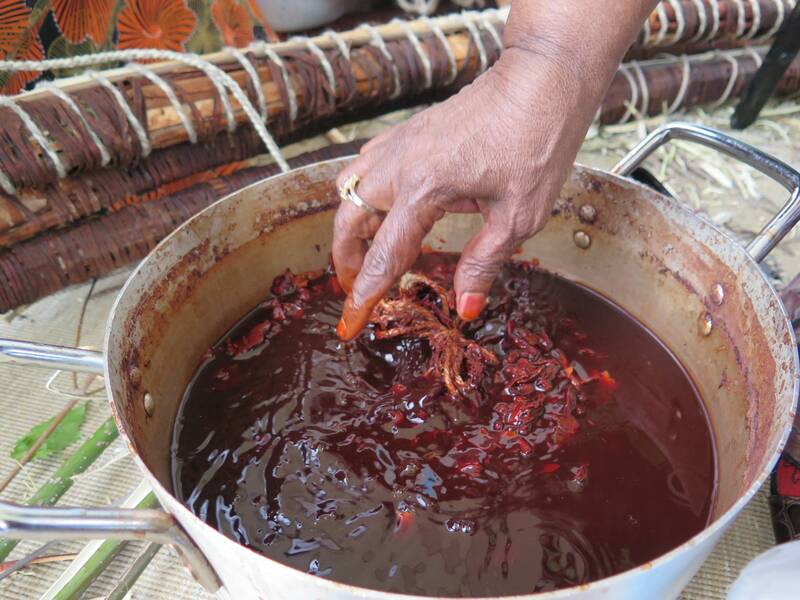 Amina Shire, who gave her age as past 70, explained that building a hut begins with boiled Acacia water, which looks like a pot of thick red herbs, to reinforce and disinfect tree branches. Shire was a nomadic farmer herself. She saw huts being made when she was only 5 years old and began making them herself as a teenager. "It's my culture, and my tradition," she said through an interpreter. "We build the hut, we go in, we take a nap ... we make it beautiful, we sleep in it." Few Somali youth today understand how their elders lived before the construction of modern buildings and homes, she said. Her interpreter, Amine Muse, who is also the education coordinator for the Somali Museum of Minnesota, explained that once the hut's skeleton is made, the women work on the inside, weaving traditional mats. "You put that on top," she said. "From the outside it looks just like grass, but inside you can see the patterns and colors." 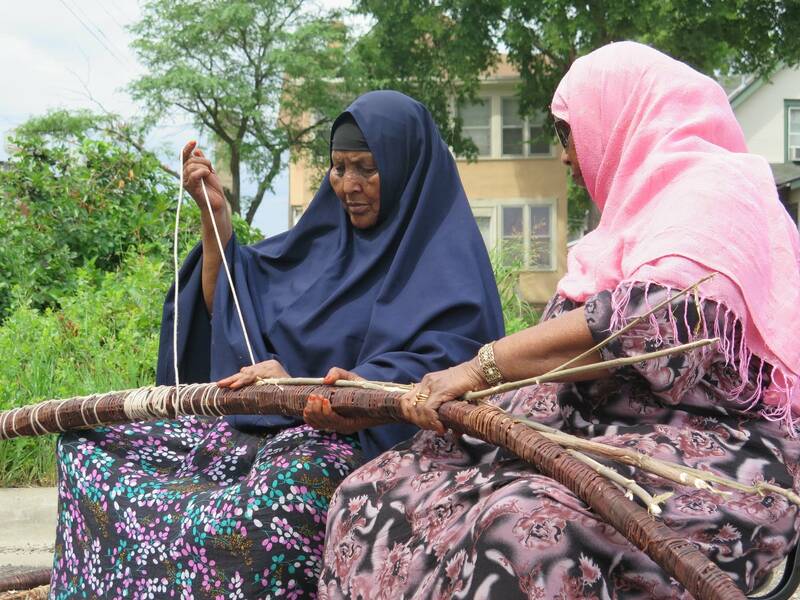 As rain started to fall, another elder Somali woman, Hawa Aden, explained how to put the branches together, stretching rope and wet leather around every part of the wood. It's not an easy task, and bending the wood requires real strength. Osman Mohamed Ali, president of the museum, said this is how his people used to live. "We don't want this kind of culture to get eliminated or die," he said. The Somali Museum of Minnesota is still trying to find a permanent home. Founded just three years ago, the museum has a collection of about 700 artifacts, housed on the lower level of Plaza Verde off Lake Street in Minneapolis. "You can take Somali traditional dance, you can learn weaving," Ali said. "The first class, all white people. ... Last class, they were half and half." In other words, knowledge of Somali culture is for both Somali-Americans and those wishing to know more about their neighbors.